February is the month when the two friends in my novel, The Munich Girl, each have a birthday. To celebrate, the novel’s Kindle version is currently offered at its biggest discount ever for a short time across most worldwide Amazon markets. And, on February 10, I’ll draw a winner for a signed print copy of the book and a silver butterfly bracelet designed by artist Diane Kirkup. Those who’ve read the book know that a variety of objects help unfold the trail of the story. One of these is the image of a butterfly. with “Butterfly” in the subject line. All three women in The Munich Girl have strong connections with Germany, where two of them meet just before World War II. Peggy, is a Leap-year baby with “29 February” on her birth certificate. That kind of thing can make you feel like a fictional character right out of the starting gate. Eva Braun, always wanted to live the life of a character in a movie or novel. However, as many women have, and still do, she gives her life away to someone who hasn’t the capacity to value it, or, it would seem, to care for humanity at all. “Did she really love him? How could she ever love him?” are questions I hear frequently about the woman who became “Mrs. Hitler” for the last day and a half of her life. Anna, the story’s narrator grew up eating dinner under her father’s war-trophy portrait of Eva Braun. Fifty years after the war, she discovers what he never did—that her mother, Peggy, and Hitler’s mistress were friends. The secret surfaces with a mysterious monogrammed handkerchief and a man named Hannes Ritter, whose Third-Reich family history is entwined with her own. The pathway of this novel’s story dropped many clues in front of me, two of the biggest, a handkerchief just like the one Anna finds — and the portrait of Eva Braun, which, somehow, found me, too. Categories: contest, Creativity and spirit, The Munich girl - A novel, This writer's path | Tags: Eva Braun, Kindle 0.99, reader contest, reader feedback, The Munich Girl: A Novel of the Legacies That Outlast War, WWII historical fiction | Permalink. With fellow author, Kelly DuMar at the annual summer conference of the International Women’s Writing Guild. Runs August 22 through September 14. Categories: contest, The Munich girl - A novel, This writer's path | Tags: Goodreads Giveaway, The Munich Girl: A Novel of the Legacies That Outlast War | Permalink. Oh, the gift, for a writer, of receiving response to the work you set out into the world. Over this last week, I’ve encountered heartening and thoughtful words about The Munich Girl both in person and in print. It’s extra-meaningful when readers make that connection with the themes of the power of spiritual friendship and shared emotional intimacy that each help human beings transcend even the most painful, destructive, or confusing circumstances life brings. Those are a big part of the reason why this book was written at all. Categories: contest, The Munich girl - A novel, This writer's path | Tags: Beach Bound Books, book reviews, Eva Braun, historical fiction, The Munich Girl: A Novel of the Legacies That Outlast War, WWII fiction | Permalink. February is the month when the two friends in this story each have a birthday, each born in a Leap Year like this one. To enter, send an email to info@phyllisring.com with “Butterfly” in the subject line. Those who include any thoughts about the book or a photo of themselves with it will receive 3 entries. And my deepest thanks to each and every one who is connecting with The Munich Girl. It is readers, and only readers, who give a book its truest life. Categories: contest, Creativity and spirit, The Munich girl - A novel, This writer's path | Tags: book reviews, butterfly, contest giveaway, Eva Braun, Germany, novel-writing, The Munich Girl: A Novel of the Legacies That Outlast War, transitions, WWII | Permalink. In the previous weeks, as I’d reviewed the book’s galleys, the story’s scenes drew me back into settings I will carry with me always. Some of them have been a part of my inner geography from earliest childhood. Others are actual locations in which the story takes place. And many of these, from cobblestone alleys to Alpine vistas, tiny villages to city squares filled with symphonies of church bells, are ones in which I did the actual writing. Categories: contest, Guest posts, The Munich girl - A novel, This writer's path | Tags: book giveaway, Fiction, novel-writing, reunion, story, The Book's the Thing Blog, The Munich Girl: A Novel of the Legacies That Outlast War | Permalink. Bless reader Susanne Weigand, who lives not far from my German hometown of Wertheim. 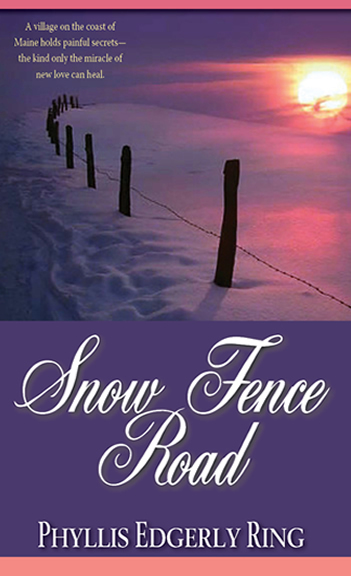 First she featured Snow Fence Road on her list of 10 Picks for readers in her Sunday column. Then she shared the gift of a kind review and – a bonus – left that review (below) at Amazon sites in the U.S. and Germany, both, plus at Goodreads. Since folks have been asking about ordering signed copies as gifts, between now and November 27, if you purchase a print copy of any of my books from me, you are welcome to buy additional copies of either Life at First Sight or Snow Fence Road at 40 percent off the cover price, and I’ll ship for free. Just let me know your ordering wishes at: info@phyllisring.com. “I love books with a great sense of place. Snow Fence Road has it all. The Spinacker Inn where I would like to go for a holiday. The town of Knowle where you walk the streets with the characters. Great food you taste while reading about it. Art you can visualize. 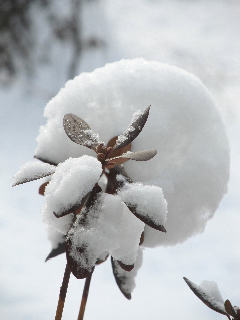 Blueberry picking in summer and a long harsh winter that makes you shiver even when reading the book in warmer weather. Categories: contest, Creativity and spirit, Snow Fence Road, This writer's path | Tags: Amazon, book-order discount, Goodreads, review, Snow Fence Road, Susanne Weigand | Permalink.